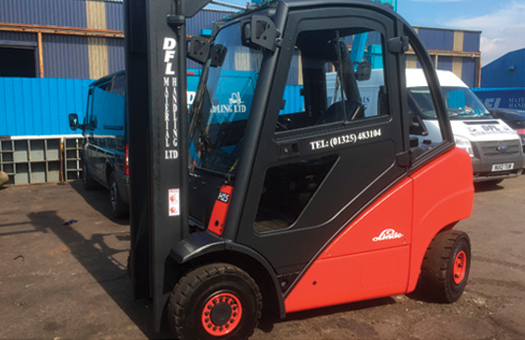 Here at DFL Materials Handling Ltd we can source and supply a wide range of forklift truck vehicles to any client in need. If are looking for a certain brand of forklift trucks then we have numerous options available to you, just call us for the exact list or with any requirements you may have. All of the products that make their way though our site are all fully serviced by our expertly trained team of technicians. If a truck appears to have any defects these are repaired and noted to you upon purchasing or hire. As well as servicing all of the vehicles before they leave the store we also set up servicing contracts, like a car, so that your vehicle is always kept up to date with its service history. As everyone has a different budget we have different packages available so that you can find the forklift truck for you. We have brand new trucks on site and also used and refurbished ones. All of the used products are fully checked over and offered at a reduced price depending on the condition. In our fleet of trucks we have an extensive list of brands and sizes of trucks. 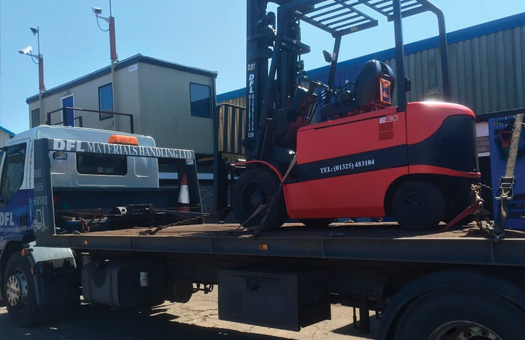 The maximum size our forklift trucks can hold is 15,000 kg and can start from as little as 1,000 kg so you can always find the forklift truck for your needs. Whether you are a commercial customer or domestic we can offer you short term or long term contracts based on your requirements so that you are never left without machinery. If contract hire is what you are looking for our team are more than happy to take the time to sit with you and discuss your exact requirements. We understand that sometimes in a business the need for more machinery can be brief while yours are repaired or serviced so we have short contracts available at competitive prices. We take pride in being able to offer high quality machinery in high demand and have built up our reputation through providing an excellent service.